If you've got the tropics in mind for your next party, there are many ways to turn an ordinary party into a fun-filled, exotic event.. A tropical party theme works well with pool parties, beach parties, a spring break event, luaus, and other summer celebrations. Depending on the occasion, tropical parties are appropriate for both adults and children, and they can be planned as indoor or outdoor events. To organize an outstanding tropical-theme party, planners need to consider all the relevant details of the event, from the initial invitations to the party favors guests will take home. Party invitations set the mood for any event. Tropical invitations can take many forms, from elegant cards with a watercolor beach scene to vibrant, die-cut flip flops or beach ball invitations. To let guests know about the tropical theme, opt for teal, aqua, blue, pink, and yellow hues that are associated with warm beaches and exotic flowers. Beach scenes, tropical fish, palm trees, waves, and other tropical accents are all perfect for tropical invitations. Nothing creates a party theme more effectively than the right party decorations. Depending on the type of tropical party theme you are planning, and whether it is indoors or outdoors, different decorations can be suitable. 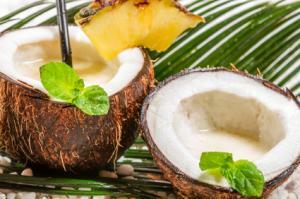 No party is complete without delicious party menu ideas, and the exotic flavors of the tropics are certainly appetizing. 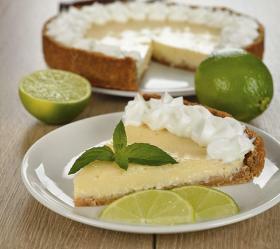 According to tropical party food expert and cookbook author, Arlen Gargagliano, the menu should be kept "light and fresh." She says, "it really could be anything that you like and that works well together." She adds that, "balance is key, and you want dishes that go well together in terms of color, texture, and flavor." Salmon patties - These patties are so perfect with the Ginger Champagne Cocktail. Jerk chicken - This dish is incredibly flavorful and easy to prepare ahead. Cucumber raita - This cooling cucumber salad balances the spicy flavors of the chicken perfectly. Costa Rican corn cakes with mango chutney - This has a great combination of flavors that marry well with the other treats. Toasted garbanzo beans - these are addictive, cumin-kissed treats. Gargagliano also suggests using fresh foods that can be "deeply enhanced by fabulous combinations of island spices and herbs." She adds that. "There's allspice, nutmeg, cinnamon, and ginger, not to mention lemongrass, sorrel, and so many more!" Gargagliano mentions that her book, Calypso Coolers, is filled with tropical drink ideas and adds that for a light, refreshing beverage, try a ginger Champagne cocktail. The right party games, activities can help guests work up an appetite for delicious tropical party foods. While an adult pool party or more sophisticated event may not need organized activities, parties for teens and children can use the right games to keep everyone involved. Music: Steel drums, beach songs, reggae, and other tropical party music is perfect for the background ambiance of any tropical party. Limbo Contest: A popular beach and pool party dance, the limbo is suitable for all ages. Fruit Carving: Guests can use a pineapple or melon to create their own tropical centerpiece as they experiment with fruit carving, or an experienced caterer can arrange a fruit carving demonstration. Tropical Trivia: A trivia contest with questions about Caribbean geography, exotic plants, fish, and animals can be a fun and educational party game. Lei Making: Guests can make their own tropical leis with colorful beads, silk flowers, and seashells. Beach Games: An outdoor tropical party can include beach and pool games such as volleyball, water fights, swimming, and more. Hula Lessons: For a tropical Hawaiian theme, learning how to hula can be a pleasant activity. The final element that party hosts need to consider is how to thank their guests for participating in the special gathering. Party favors are a small token of friendship and thanks, and there are many tropical options to choose from. 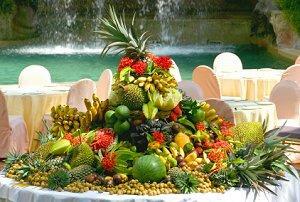 With the right party planning ideas, anyone can arrange an amazing, tropical-theme celebration. From colorful invitations and a tasty tropical menu to limbo contests and seashell favors, organizing a party like this half the fun.